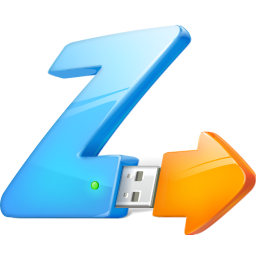 Zentimo xStorage Manager 2.0.6.1267 Portable ~ Apps2Portable | Free Portable Apps for PC ! Zentimo xStorage Manager - is the manager of USB devices, it saves time and enhances the user experience when working with flash drives, portable drives, card readers and other gadgets. The program provides a convenient safe removal, free from flaws built into Windows, shows what programs are hampered remove the device, removes the disk empty slots card reader is able to return back to the disabled and the device contains a wealth of other features for a comfortable and pleasant to work with hot-plug devices (USB , SATA, FireWire). - Safely remove in one click. - Hide unnecessary device from the menu. - Scan for hardware changes. - Stop all devices simultaneously. - Keyboard shortcuts for stopping a device or a menu. - Ability to remove unnecessary devices from the stop menu. - Device names + renaming. - Possibility to stop the drive SATA. - Allows you to return the device back. - Just a small menu where you can add programs files folders from your portable drive for quick launch. - The program has the ability to test your portable gadgets on the read / write speed.